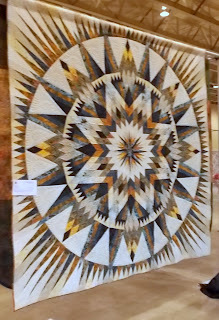 Today I'm taking a break from my vacation photos to start describing the Common Threads Quilt Show in Wichita, KS this past June. 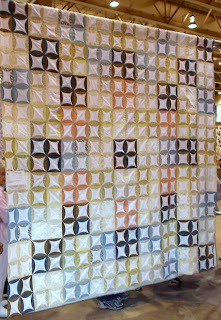 My guild's bus trip this year went to the show on June 21st, and was it a FANTASTIC show! 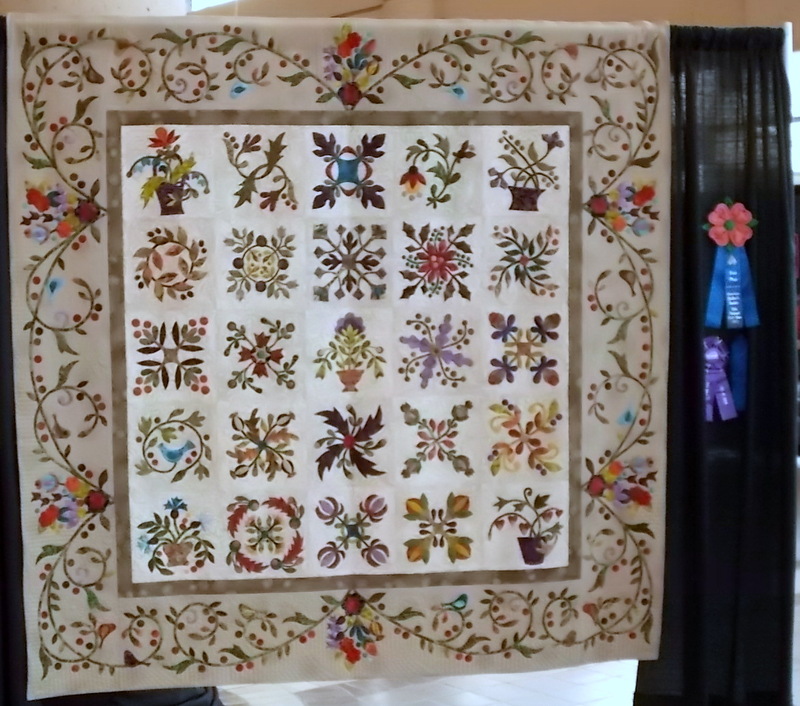 The quilt show was held in the convention center in downtown Wichita. 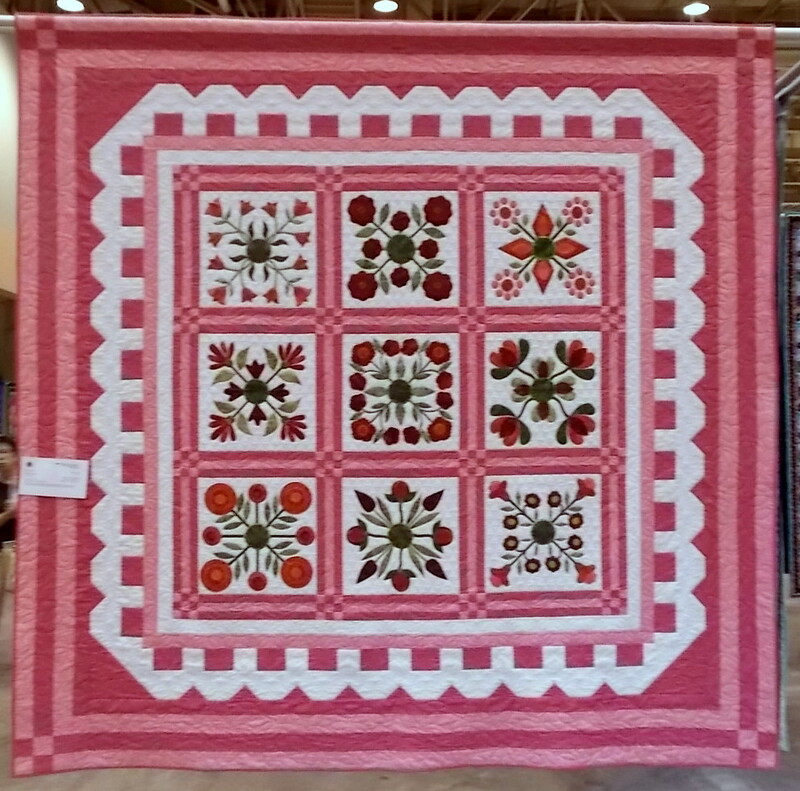 The quilts were amazing, and I enjoyed shopping at the vendors' booths. 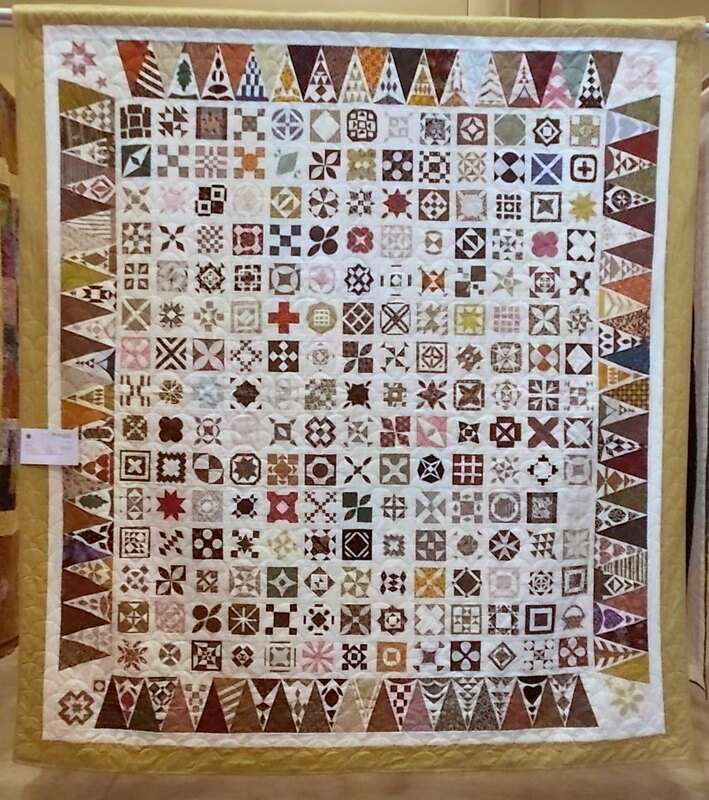 I'm pretty much still drooling over (figuratively, of course) some of the glass-covered quilt stands I saw. Plus, I saw a quilting extension table for home sewing machines that looks better than the one my machine's manufacturer sells. That extension table is definitely on my wish list. 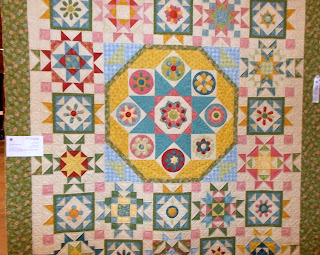 I asked at the registration table whether it was permissible to photograph the quilts and was told it was. 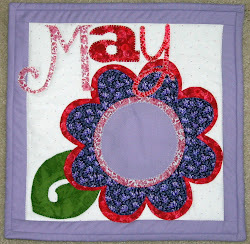 So, my plan is to start posting photos of some of the quilts I particularly liked as long as I'm 99% sure I can attribute them correctly. 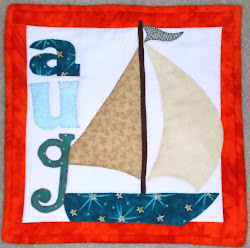 If I make a mistake, trust me; I did not intend to. 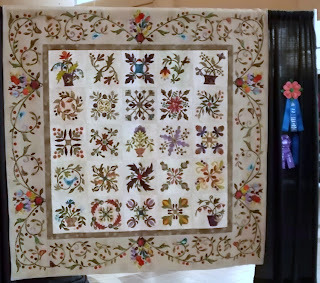 The beautiful quilt above was the Prairie Quilt Guild's 2012 Opportunity Quilt. 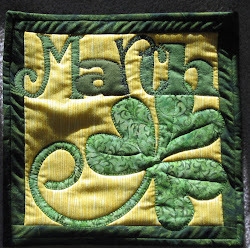 It was hand appliqued by members of the guild. 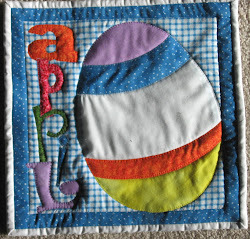 Siriporn Hollar quilted it. Isn't it awesome? 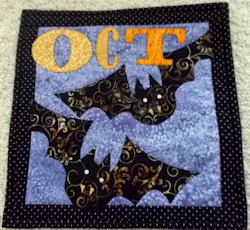 The above quilt is Jungle Twilight, pieced by Diana Grabau and quilted by Kim Hull. Aren't all those sharp points incredible? 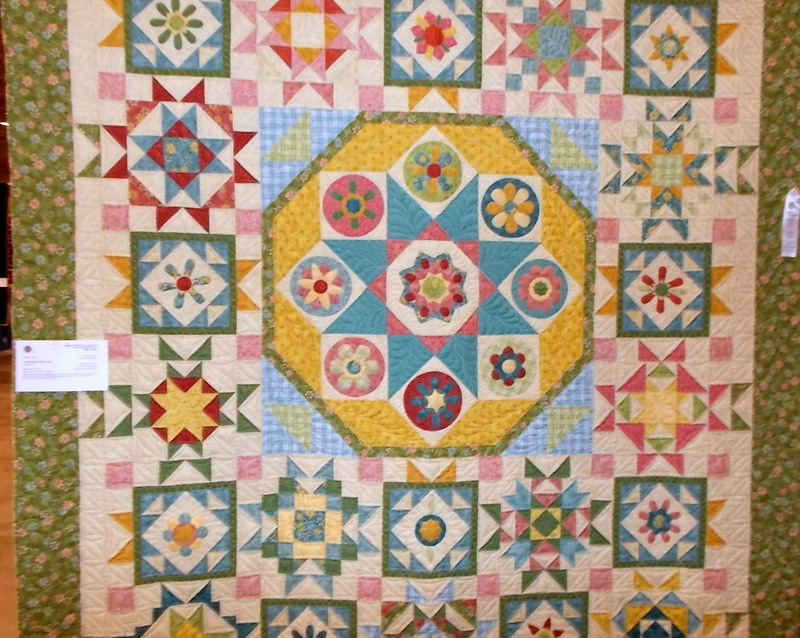 The above quilt is Granny's Hanky, pieced and appliqued by Peggy Dawson and quilted by Susan McMillan. 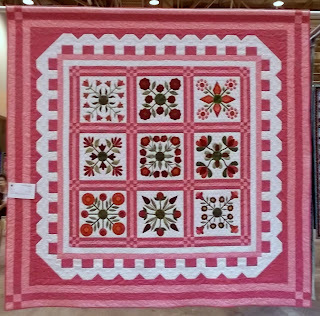 I'm not usually much of "pink" quilter, but I love this quilt, especially the white border meant to look like a handkerchief. I think that was a clever design decision. 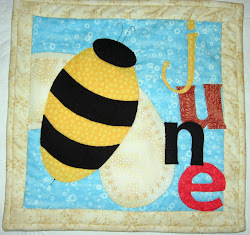 The above quilt is Dear Jane, pieced and quilted by Donna Leiker. 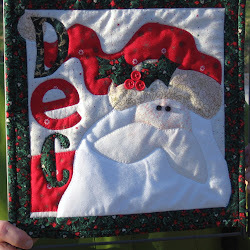 It is incredibly intricate; isn't it? 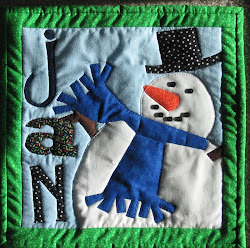 Someday I'd like to make my own "Dear Jane" quilt. I can only hope that mine will be half as beautiful as this one. 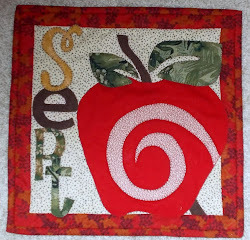 The above quilt is Crystal Bright's Ride to Ponca, pieced and appliqued by Susan Driskill and quilted by Kim Hull. 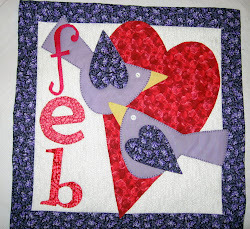 I am so impressed by how intricate the piecing is with all those complicated blocks. 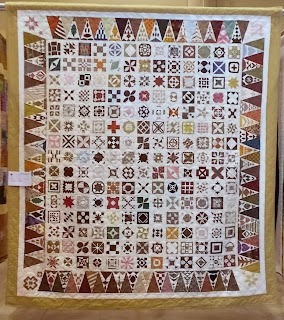 Not all of the photos are as good as I would have wished, but sometimes I was lucky just to get a quilt photographed without a person standing in front of it. 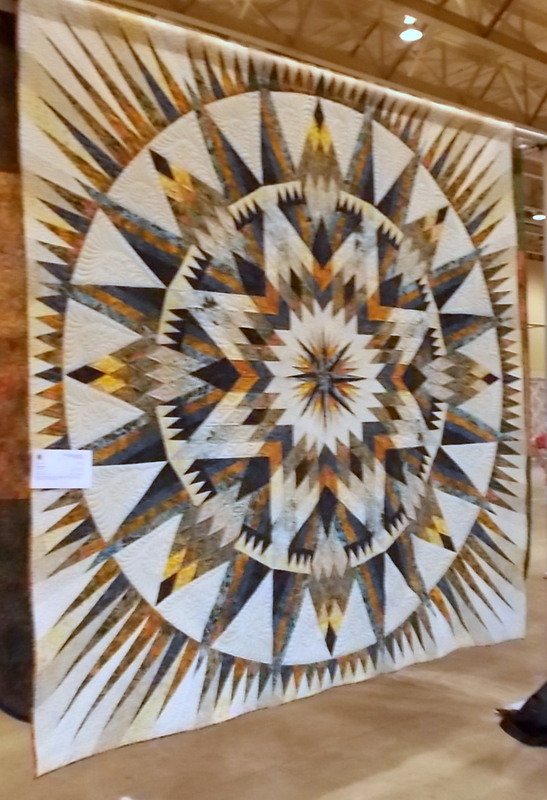 I still have more photos from the quilt show to post, so don't forget to check back! The Common Threads Quilt Show is only held every two years. 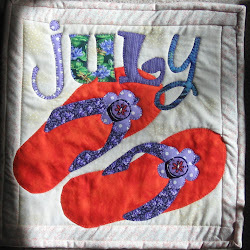 That's more than understandable considering how complicated these quilts are. However, I am greedy enough to wish I could go to this show every year.